Welcome to Gorgacce Rentals, our business is self catering holiday villas in Umbria and Tuscany, Italy. Please browse through our properties to find your ideal holiday location. Choose between large villas, small villas and holiday apartments in the countryside. All of our villas have pools. If you don’t have time to browse please use our filtered search to Find A Villa or send us an enquiry with your dates and the number of bedrooms required. 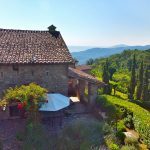 Browse our selection of smaller vacation villas and holiday cottages on the Tuscany Umbria border. Browse our holiday apartments in the Tuscan and Umbrian countryside with shared pool. The smaller villas page has Tuscan holiday homes and Umbrian farmhouses with one to three bedrooms – almost all with swimming pools and located near to the beautiful Tuscany Umbria border. Some four bedroom villas have also been included on the smaller villas page because they are suitable for smaller groups. We have smaller Tuscany villas to suit everyone, for exceptional value, look at Villa Giove or Casa Cordino. For a luxurious stay in the Umbrian countryside try La Fontanina, Villa Forconi or Casa Padrone. Our other villas and farmhouses are also very well appointed, as a general guide to quality you can use price for equivalently sized holiday villas. You can find larger Umbrian and Tuscan villa rentals with pools on this page. If you are looking for a heated pool, try Ca di Bracco, Casa del Lupo or Villa Padrone. Our larger holiday homes have between four and seven bedrooms. If you are looking for a fenced pool try Casa del Lupo, Ca di Bracco or Casa Lucati. All the larger rental villas have private swimming pools, and, as with the smaller villas, the price of a property is a general guide to size and quality. Gorgacce Rentals is a UK company based in Italy and England. We specialise in vacation villa lettings in Umbria and Tuscany, Italy, but we do also have some apartments for rent. All of our villas have pools. We visit our properties regularly and we represent owners who know us, often for many years. Most of our vacation accommodation is on the stunning Tuscany Umbria border. When you holiday ion the Tuscan Umbrian border, most of the towns of Tuscany and Umbria are within easy reach. You will have the opportunity to explore these famous central Italian regions, or simply relax and sight-see locally. In fact, there is so much to do here that you just can’t fit it all into one holiday; many of our clients return to the Tuscany Umbria border for another stay. Have a look at our Tuscany Umbria Blog for information on day trips, itineraries and things to do. We try to give you a more honest description of the vacation accommodation than you would get from an exclusive owners’ site. Browse Gorgacce Rentals’ site to find the best value Tuscany agritourism apartments, Umbrian farmhouses and Tuscan villas in Italy, please tell us if you don’t agree. We are Gorgacce Rentals: Italy villas in Tuscany and Umbria.